Weren’t we supposed to be more free by now? And yet, we still need Banned Books Week (#BannedBooksWeek) to push against censorship and suppression of books. I’m running behind. Banned Books Week 2018 started on September 24. I don’t really have much brilliant to say about it, except we’re still fighting to keep history in Texas history standards, to keep history in Texas school history texts, and the latest outrage is the “deletion” of Helen Keller and Hillary Clinton from the list of historic figures kids ought to rub intellectual elbows with in their studies. So let me offer a quick and dirty, but often compelling compendium of some of the best Tweets about banned books this week, and the celebration of freedom. 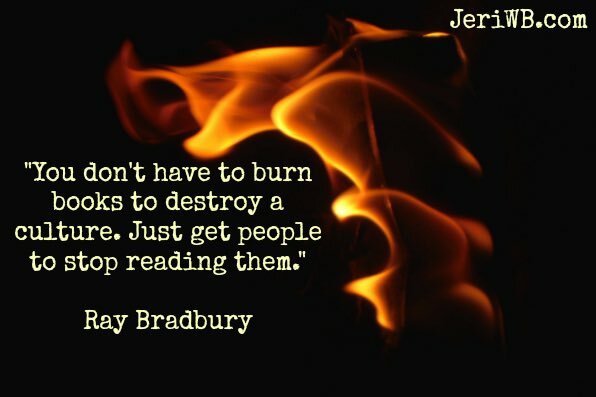 What’s the best banned book you’ve read lately? What books have people tried to ban in your town or state this year? What good, controversial books have you read that you recommend we read, before it gets banned? It's the last day of #BannedBooksWeek, but don't let that stop you from reading the stories that some have attempted to silence when they should be heard. “Wherever they burn books they will also, in the end, burn human beings.” Heinrich Heine. Since most requests to remove books from schools or libraries go unreported, these lists are not definitive; instead, they offer a “snapshot” of book challenges, according to the [American Library Association’s Office for Intellectual Freedom (OIF)]. In recognition of Banned Books Week, which runs from September 23 through September 29, we’ve compiled a list of the most banned and challenged books of the past five years (2013 to 2017), including the years they were challenged and the reasons why. A good list of reading. Irony that The Holy Bible and The Curious Incident of the Dog in the Night both appear on the list; one might imagine advocates of one book complaining about the other. A literature or history teacher can find a whole school year’s worth of graphics from Tweets during Banned Books Week. 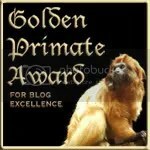 This post may be updated. Please comment, and come back to discuss. Got a stack of banned books ready? 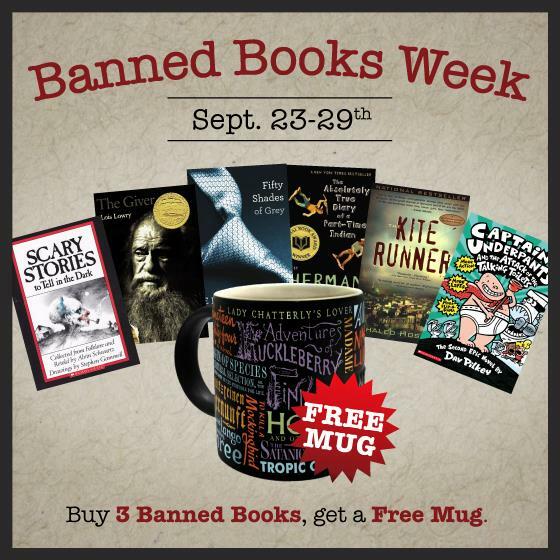 Banned Books Week is September 22-28 for 2013. We still have banned books? Is that bad? This comes in the middle of a rancorous fight in Texas over CSCOPE, a cooperative lesson-plan exchange set up by 800 Texas school districts to help teachers meet new Texas education standards adopted years ago (without new books!). Critics labeled reading lists and any reading on religions other than Christianity “socialist” or “Marxist,” and complained that Texas social studies books do not slander Islam. Then there is the flap over Persepolis, in Chicago. With all the other trouble Chicago’s schools have several bluenoses worked to get this graphic “novel” banned (it’s not really a novel; it’s a memoir). They complained about graphic violence in what is a comic book. 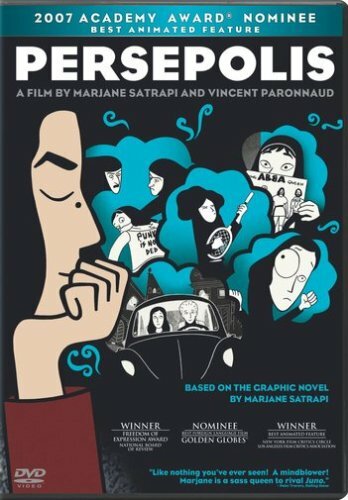 Persepolis tells the story of a young woman growing up in Iran during the Iranian Revolution. Persepolis is an important classroom tool for a number of reasons. First, it is a primary source detailing life in Iran during the Revolution and the Iran-Iraq War . Readers of all ages get a glimpse of what life is like under repressive regimes and relive this period in history from a different perspective. It also begs detailed discussion of the separation of church and state. Furthermore, this is a poignant coming-of-age story that all teens will be able to relate to and serves as a testament to the power of family, education, and sacrifice. In America, textbooks get attacked for telling the truth about Islam and not claiming it is a violence-based faith; and supplemental reading gets attacked when it presents the violence the critics complain was left out of the texts. We need to think this through. What banned books have you read lately? Persepolis has been made into a movie. Banned Books Week 2009 is set for September 26 through October 3. Which banned book will you read just to poke the eye of the censors, and to wave the flag of freedom and liberty? Ellen Hopkins wrote several controversial books, including Burned which is out of favor in Pocatello, Idaho, close to my birthplace. * She has written a Banned Books Week Manifesto, which she recites in the video. You can read an interview with Ms. Hopkins at the site of the National Coalition Against Censorship (NCAC). 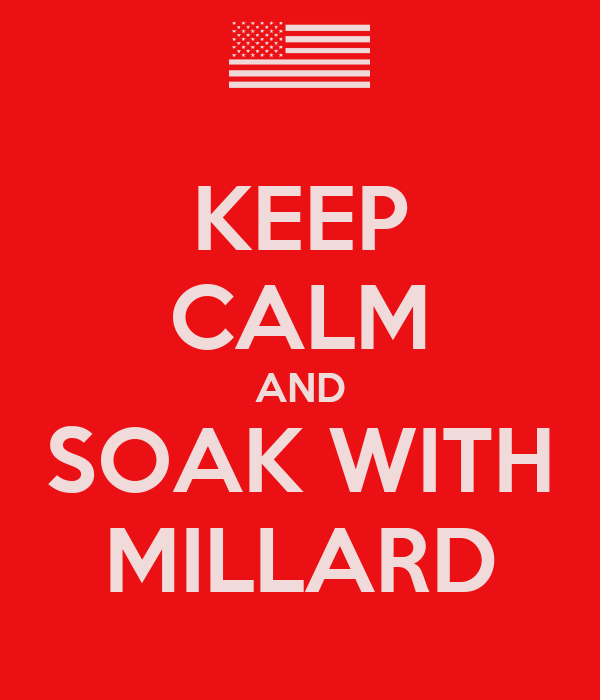 * Does Millard Fillmore’s Bathtub have any readers in Pocatello? Pocatello readers: Do you know of anyplace you can get a copy of Burned to read, in Pocatello?